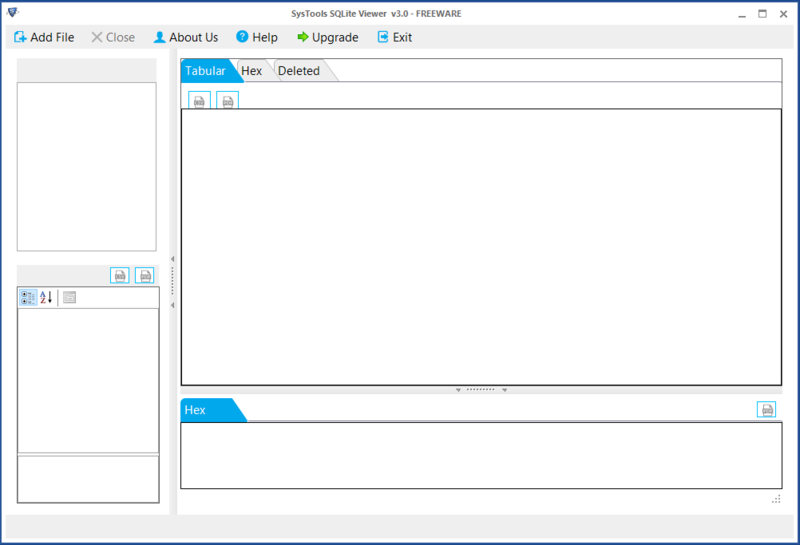 View and Examine SQLite data files of Skype, Android Phones, etc. The SQLite File Reader is specially designed to open and view all database files of SQLite. Also, it helps to repair corrupt SQLite database files before loading them on the user interface to preview. Thus, this software helps to work with corrupt or damaged SQLite Database files. After scanning of the SQLite database file, users can preview all elements successfully in the preview pane. These different elements include tables, indexes, views, triggers, and columns. Therefore, it becomes very simple and easy for users to view any kind of database according to the field. With SQLite Database Viewer, it becomes really easy for users to open and view any size of database file without any restriction. The database files have two different sizes i.e., gigabyte (GB) or Terabyte (TB) that can be scanned by the software equally. The free SQLite File Reader is capable enough to scan and view different database file types. One of the best features of this software is it provides many file formats like *.db, *.SQLite, *.db3, *.SQLite3 which belong to a variety of platforms i.e., Skype, SQLite etc. SQLite database viewer provides the facility to sort a database in all four categories i.e. Unallocated, Secured, Deleted, Active. Each category can have a unique color palette to differentiate the data in SQLite DB files. SQLite uses various journal files to hold the database tables temporary. 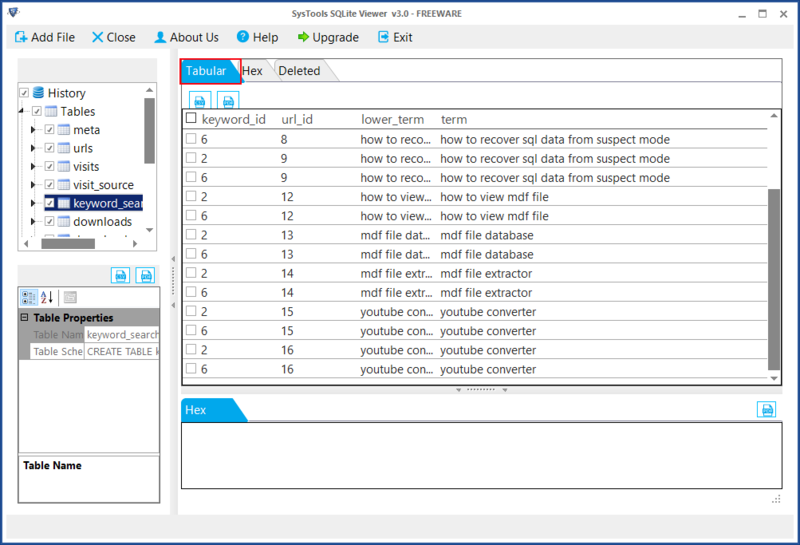 The SQLite DB browser forensically investigate and preview all details from Journal file data associated with an SQLite database Engine. 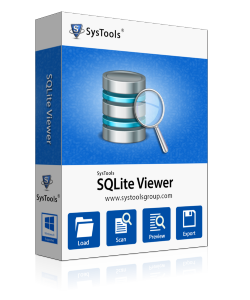 Free SQLite Viewer Software allows only to preview *.db, *.SQLite, *.db3, *.SQLite3 file. Will this software work with the older version of SQLite to view .db3 file? Yes, users can view all the editions of SQLite Database files in the free SQLite database reader. All these file formats *.db, *.db3, *.SQLite, *.SQLite3 are supported by the software to view SQLite files. Does the tool provide an option to sort out particular data according to the fields? Yes, Of course, our SQLite database viewer freeware not only recognizes the database (Table, Views, Triggers, etc.) but also offers a search option. By clicking each individual field, users can sort their database accordingly. Is there any size limitation imposed to view SQLite database files? No, there is no such limitation. Even users can open and view any size of database file with the help of SQLite reader program. Can I view SQLite DB files that are corrupted using this SQLite database Viewer? Yes, SQLite Reader Freeware allows the user to view corrupt as well as healthy SQLite database files. Does this application offer an option to view database items in tabular form? 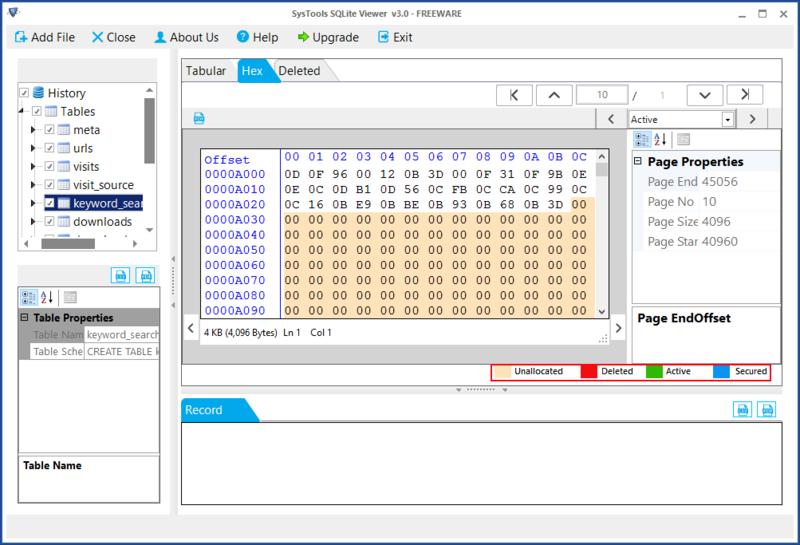 Yes, it enables the user to view and analyze data in Hex View format without any data loss. SQLite Database Reader is very helpful to view SQLite files on Windows machine. Also, it provides a search option for viewing multiple database files. I must say this application is really amazing. I would like to thanks to all team members who are behind the creation of this wonderful product. Hats off to the developers. This software is really matchless. I had a great experience with this tool to view corrupt SQLite database files. The best part of this utility is its user-interactive interface. With this, I have scanned and view multiple files of SQLite database. The hard work of the developer's team is clearly visible and they deserve all the applauds. Support Window OS 10 and all below version.